Happy first official day of the new Mayan Age, the golden age, 1/27/14. Since 12.21.12 we have been passing through a 400 day buffer time between ages, something I learned of from respected DreamShield member Gary Christmas, yesterday on Facebook. We must remain patient despite the fact things will still look messed up on our world for sometime. 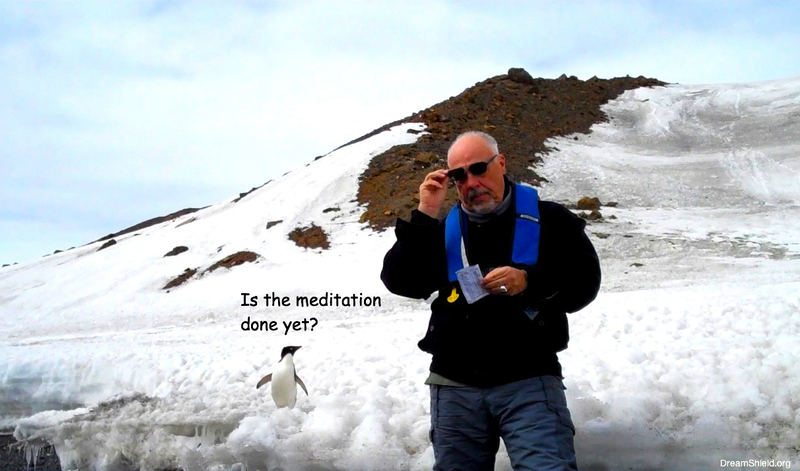 You see, I was told in Antarctica for 6 days, starting 12.12.12 to help halt the pole shift and transmute all that negative energy into a shift of human consciousness through a series of meditations I was guided to perform there, that the shift into the Golden Age will still take 50 years to manifest fully. The ETs explain earth manifests at this planetary scale at the rate of a large tree growing from seed to maturity. Today is the first sprout of that tree of transformation. There’s much work to do and our world’s stepping away from the brink of self-destruction is not assured unless we take action. Meditation is simply our way of getting guidance. We are on our own. Thems the rules, my fellow earthlings! I had powerful ET visit last night where I was told by Ohom, my ET spirit guide from the Orion star system, about something called The Wisconsin Project. Ohom told me that my prayers for help as a young boy, suffering child abuse at the hands of a drunken father and the neglect of a brokenhearted mother, were heard at the ET base in Antarctica and answered. There were nightly extractions where I was repaired and given abilities to cope with horrendous physical and mental abuse. I credit all this ET work with the fact anyone not knowing my past will tell you I must have come from a happy home to be so well-adjusted. Well, that was before I began sharing my visions and past sufferings as a child in order to enlighten and free minds. And Ohom told me I was not the only Sheetz family member saved each night aboard spirit space ships from the League of Ghost Worlds, a collective of worlds that have gone extinct and are seeking to help humanity to not follow in their footsteps before we attain the ability to live outside the bounds of time and space as they do with grace and ease. You see all worlds go extinct eventually. It’s inevitable. The sad extinctions are the self-extinctions. A path we as a species are on right now and the ETs we have seen as angels, since ancient times, are here to help us divert from for our sake and for all the creatures on our blue marble in space. So last night, after conferring deeply with Ohom, I went into meditation at 3:13 AM, to take my first trip of the Golden Age outside my body. I left my body in Sedona after saying prayers, just like I did as a child: The Hail Mary, The Our Father and The Act of Contrition. Though not a practicing Catholic today, these prayers remain magic to my child mind and work magic for me in meditation. 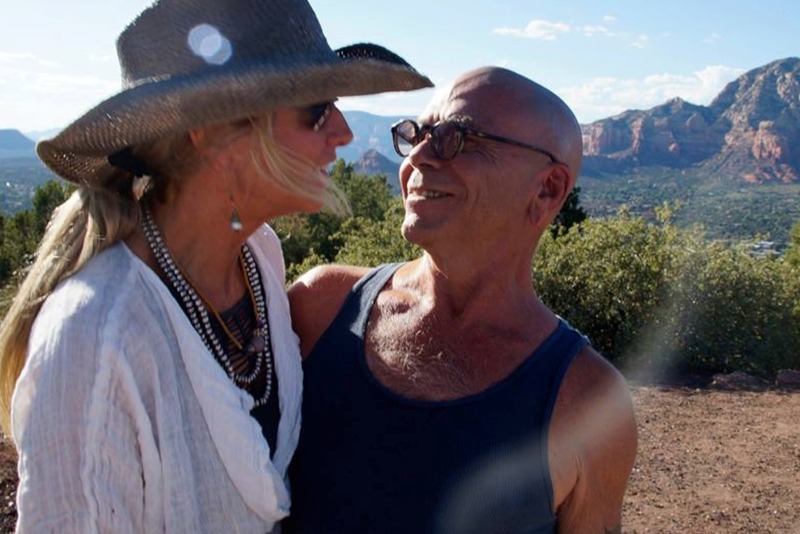 Once again the prayer words rang true, and I was soon rocketing out of my body in Sedona and high above the earth. I started heading down into the green aurora field lighting the skies above Antarctica. I touched down before a tall mountain with no foothills that abruptly met the flat as a pancake ice sheet . A dot of green light appeared at the top of the tall mountain that grew downward into a slit of intense lime green light. I walked through the green light slit in the mountain and found myself inside a vast hangar, safe from the severe cold I was beginning to notice even in my indestructible astral body, complete with ethereal armor . Spaceships and pilots were everywhere, in a scene almost out of Star Wars. I realized this hangar was the real deal, a channeled message to George Lucas. No Tan Tans in sight though. None of the aliens and humans took much notice of me. Finally I came to a spaceship that my father, a great mechanic while he was alive, to my shock was happily repairing. Overjoyed to see me, Dad dropped his tools clanking and scrambled up from underneath the spaceship, much like an X-wing fighter Ala Star Wars, to give me one of his famed bear hugs. But I accepted his hug without returning any love. My dad’s young face, he looked about 27 now, despite passing at age 82, looked pained at my rejection. “Sorry for not letting you know Zylph is one of my higher selves, Ken,” my father said sincerely. Sincerity I never heard from him in life. Nonetheless, these sincere words were strange first words. I’ve not seen or spoken to my dead father in visions for a couple of years now. Not for lack of trying! Ohom had told me my Dad was far away on a mission I’ve yet to learn of. Stay tuned. Now here he was back in my life again, without a word. My young dead father’s face showed he knew how much that deception had upset me, once I deduced Zylph’s higher-self connection to my father. Now, Zylph’s acerbic sense of humor made sense. My father in life was a dark comic who never found a stage, unless you count his bar escapades. “Yeah, Dad, That was damn wrong on so many levels I don’t know where to start. Why? I had made my peace with you. No need to hide behind your higher Zylph self just because you skipped the galaxy for a few years. The whole thing makes me wary of all Zlyph shared with me about removing the old to make way for the new. It seriously messed with my head like when you’d torment me as a kid. Seems you are still prone to mind games even in the afterlife,” I said, angry steam coming from my breath in the cold hangar, where spaceships came and went through the green crevice in the hollow mountain’s face. “We don’t change, much as you might think when we die, sonny boy. But I am trying. Trying damn hard. Don’t let my screw up make you doubt Zylph. He’s me, but from a couple billion years in the future and has a lot to share. Yes, Zylph has a powerful dark side like me, but it’s in way more in check two billion years from now. Harnessed for good. We all need the dark and light to run this universe. And Zylph loves you like I do, ” said my dead father, wiping the old familiar grease from his hands to avoid my glare. Ohom, a 7 foot tall Orion who has been chief spirit guide to me since 2010, quietly joined us, seeking to break the cold tension, as thick as the ice sheet of Antarctica. “Your father, though in spirit form now, remains divinely human. William seeks daily to better integrate his bipolar natures expressed in one body, Ken,” said Ohom in his usually calm and soothing voice. “Zylph is his own being in his own right, just as I am the high self of you, so it is with Zylph and your father. My answer stands true, Zlyph has much to share to help save your world. But I see now by the profound pain in your heart how much this conscious omission of mine has cost us all. Worst of all, the love of someone dear to you that you sought to win was lost as result of my mistaken actions. I should have told you of Zylph being a higher self of your father. I hope you will accept my deepest apology for concealing the whole truth from you, Ken, on behalf myself and The League of Ghost Words, ” said Ohom, his blue wings sagging a bit at his shame. “I promise to never withhold the whole and complete truth from you again, my Ken-Self. You see, I wanted so much, too much, to have you see how far you father’s spirit will evolve into the great Zylph. So much so that my better judgement was affected. I, like your father, like me/you, am also not perfect,” said Ohom so sincerely and lovingly that my spirit brightened instantly. “If you brought me here to this secret Antarctica base as an apology, Ohom and Dad… Well, pretty damn cool! Come here, you SOB!” I motioned to my father and gave him a bear hug back to let he and Ohom know all was forgiven. “So you’ll listen to Zylph again?” my father cautiously asked, nervous he’d blown the connection with his well-intentioned if misguided deception for good. “I need to think on that Gordian knot some more, Dad. But, probably. With knowing who Zylph is maybe I can put some filters in place against the contagion of your ancient rage,” I said, my worries of Zylph possessing me already fading. The pain in my heart over the deceptions melting, like the ice upon the spaceships my dad was repairing in the hanger’s relative warmth. Ohom joined in the hug and the three of us, my dead father, now a quantum spaceship mechanic, me and the lovable 7 foot tall blue angel-like Orion, remained in embrace without words until I found myself wrapped snug in my cover in bed and back in my body in Sedona. I thought, pulling up the covers in my cozy Sedona bed, about a dream I’d had a few nights ago about Zylph, who is from an Arabic-like world in the Antares star system 2 billion years from now. And how he and a team of other ET Arabs fearlessly rescued me from prison pit of despair over the loss of my housemate, their white robes flowing as red para sails burst forth to save me. And so I finally forgave Zylph, my father’s future higher self. In that blissful moment I went to peacefully to sleep. If sleep is what you can call what I do anymore. Many more dreams of others people like me came in one of the most exhausting nights of my life. Dreams of many being saved from child abuse by the ETs of The League of Ghost Worlds and The Wisconsin Project came to me like old memories of childhood playgrounds on other planets. Comforted that I now have an ET father, looking out for me as penance for his sins in life in many forms, the most prominent being Zylph from Antares, I finally found dreamless rest nestled in the powerful red rocks of Sedona on this first early morning of the Golden Age. 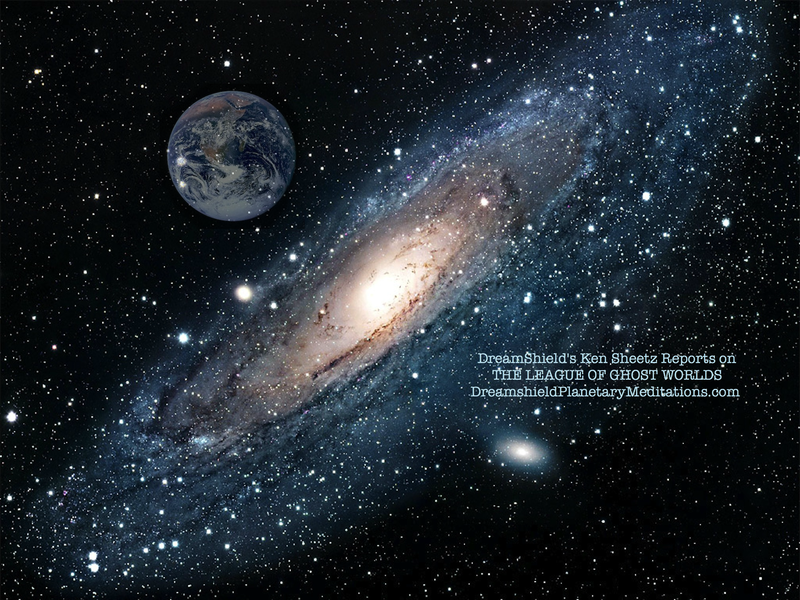 Visit DreamShield.org to see my meditations in Antarctica and the work I am doing to record the amazing super scientist Patrick Flanagan, of PhiSciences.com who also speaks to Ohom and considers him a valuable spirit guide. Last here is the link to an amazing new crowd funder in prelaunch where you can volunteer and be in the inner circle in bringing an amazing device called the Neurophone, proven in numerous university tests since 1957, to boost intelligence. I am a happy user of the device and it greatly has improved my meditation and writing! This is such a powerful vision, it deserves a reblog.